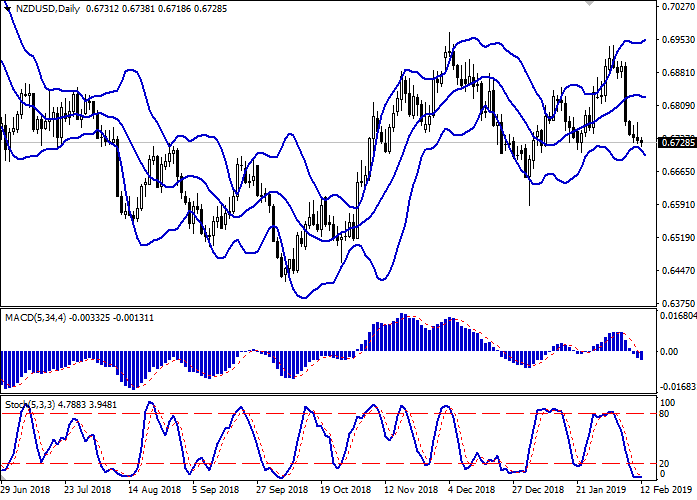 Today, during the Asian session, NZD moderately declines, developing the “bearish” dynamics, formed in the middle of the last trading week, and renewing the lows since January 22. Despite a number of problems, USD position in the market is still quite strong. Investors are focused on the negotiations between the United States and China but so far the situation has not worsened, and the market is not set to a negative outcome. However, the risks of repeating the Shutdown gradually increase, as the interim budget, signed by Donald Trump, is ending. Today, NZD is moderately supported by New Zealand's macroeconomic statistics. So, in January Electronic Card Retail Sales increased by 1.8% MoM and 3.5% YoY after a decrease by 2.3% MoM and growth by 0.6% YoY in December. On the daily chart, Bollinger bands move horizontally. The price range expands, letting the downward trend develop in the short term. MACD falls, keeping a strong sell signal (the histogram is below the signal line). Stochastic reached its lows and reversed horizontally, indicating that the instrument is strongly oversold in the super-short term. It is better to keep current short positions in the short and/or ultra-short term until the appearance of clear signals for corrective growth. Resistance levels: 0.6746, 0.6772, 0.6789, 0.6814. Support levels: 0.6718, 0.6704, 0.6662. 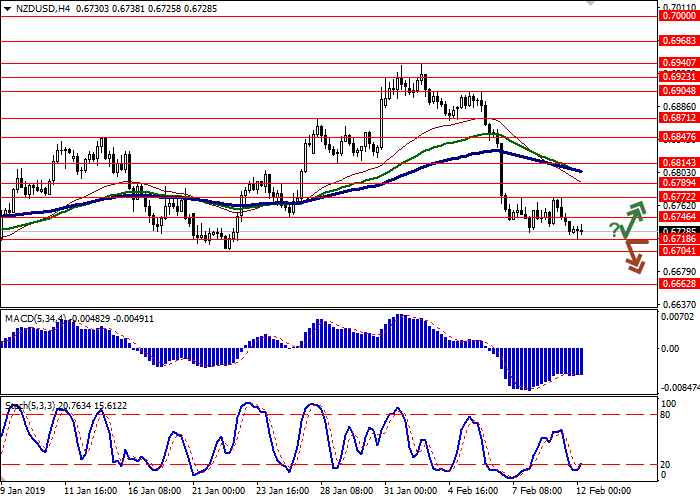 Long positions can be opened after rebound from 0.6718 and breakout of 0.6746 with the targets at 0.6800–0.6814. Stop loss is 0.6718–0.6710. Implementation period: 2–3 days. 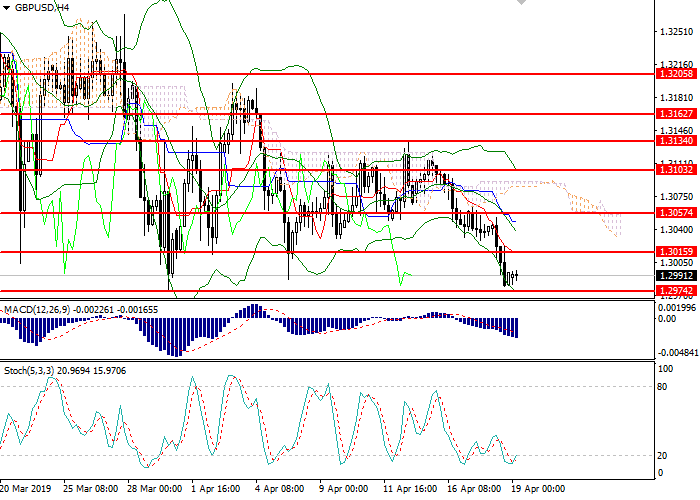 Short positions can be opened after the breakdown of 0.6718 with the target at 0.6662. Stop loss is 0.6746. Implementation period: 1–2 days.